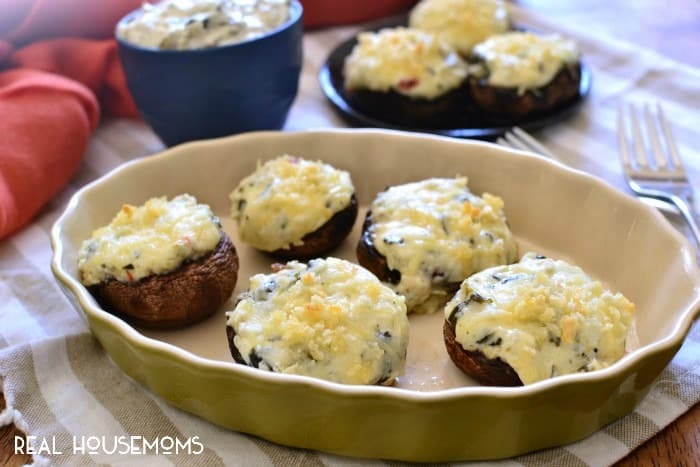 Spinach Dip Stuffed Mushrooms combine two classic flavors into one delicious appetizer! 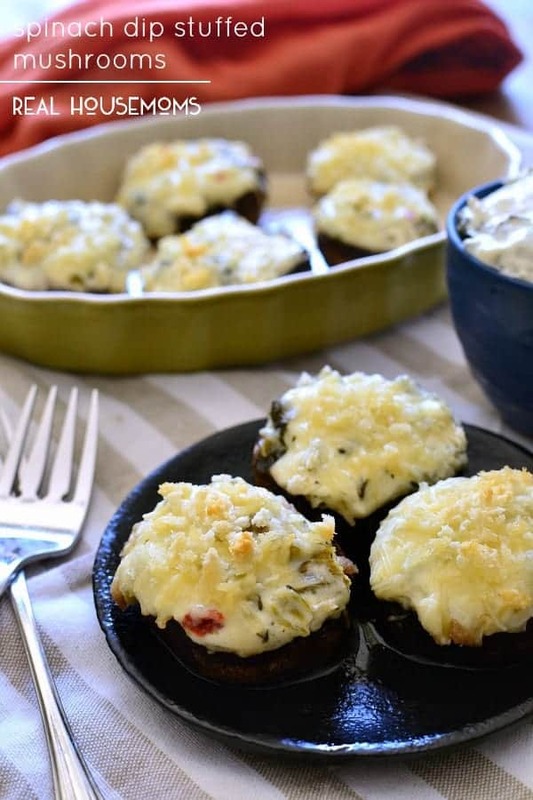 This simple, bite-sized recipe is perfect for holiday entertaining! I don’t know about you, but I love this time of year. Not only because the leaves are changing colors and the weather is absolutely gorgeous….but because it means the holidays are just around the corner. Time for holiday parties! 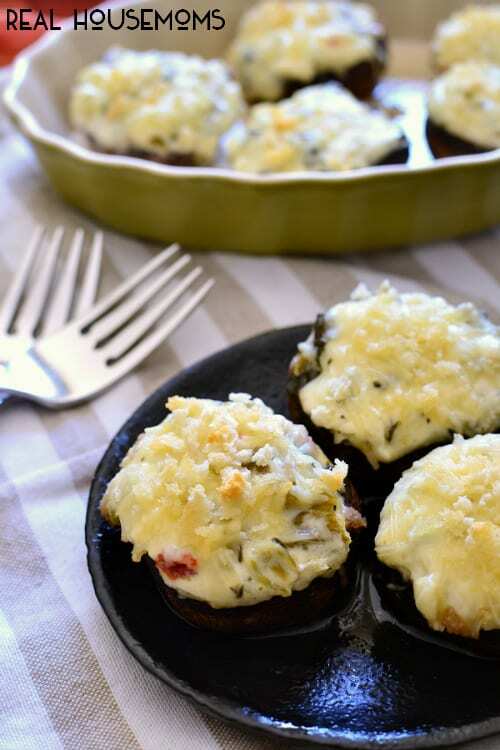 Of course, along with holiday parties comes delicious food…and stuffed mushrooms are always one of my favorites! They’re one of those things that feel special and fancy, but in reality, couldn’t be easier to make. Especially when you stuff them with spinach dip! It’s the perfect combination, really. 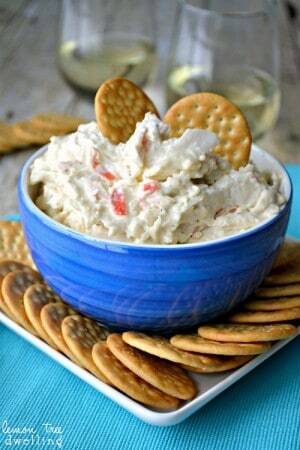 Two holiday favorites, both delicious on their own, but even better together! And best of all, they come together quickly. Which leaves you with more time to do ALL the other things on your holiday to-do list! Brush mushroom tops with olive oil. Place top-down on baking sheet. 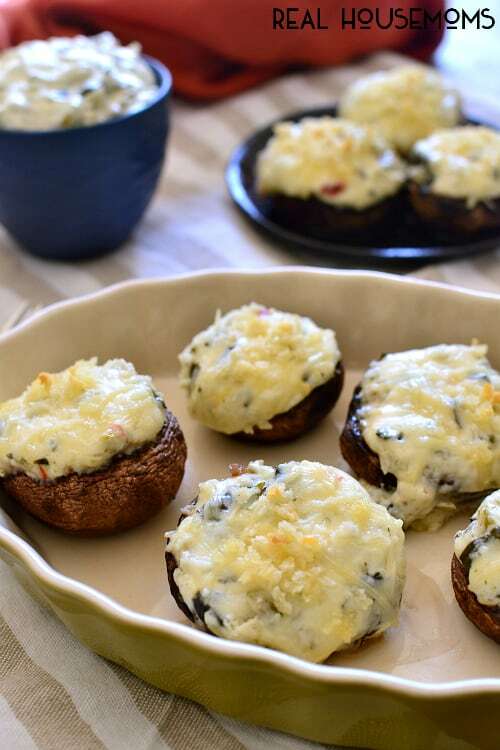 Fill each mushroom with 1 Tbsp. spinach dip, 1 tsp. Parmesan cheese, and 1/2 tsp. bread crumbs. 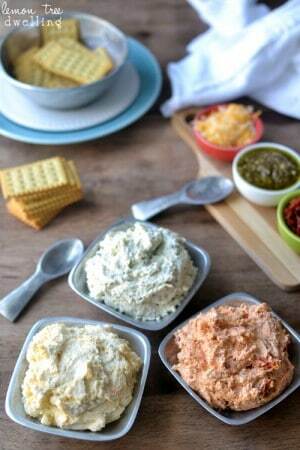 You might also enjoy these easy appetizer recipes! I'm a food-obsessed mom of four, living in Wisconsin. I love to entertain and find great satisfaction in feeding people delicious things! I spend most of my time in the kitchen, thinking up and creating fun, new, easy recipes with a twist. You also might find me thrifting, crafting, decorating, running, or hanging out with family and friends.